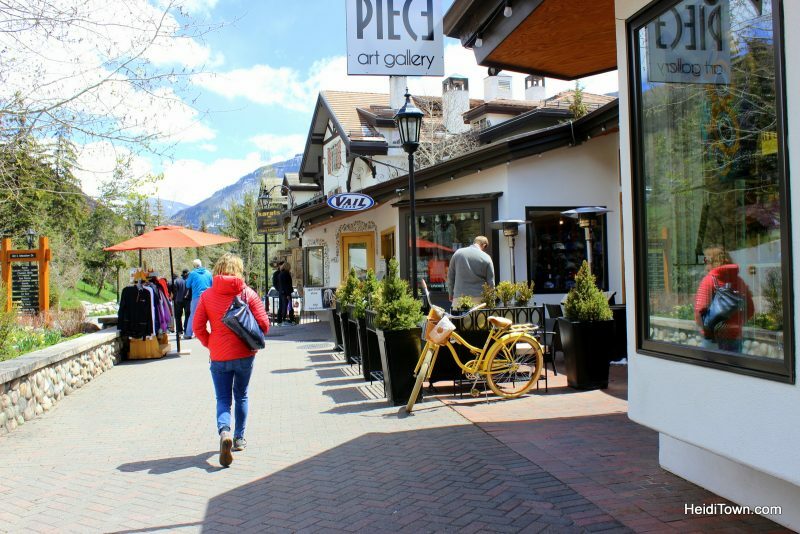 Vail has grown on me over the years and I enjoy it now more than ever, so without further ado, here are five reasons to love Vail, Colorado. You may stand in lift lines at the base of Vail ski area but once you are on the mountain it’s easy to get away from the crowds. The size of Vail ski area is what makes it tops with my husband, a lifelong Colorado skier. He loves getting into the back bowls where he’s far away from any slope traffic. Here’s a great An Insider’s Guide to Vail’s Legendary Back Bowls on VailMag.com. The only problem with the sheer amount of acreage here is that you might be late to lunch with your wife because you underestimated how long it was going to take to ski back to Vail Village — so plan accordingly! While my husband’s a lifelong fan of skiing, I’m a lifelong fan of truffle fries. 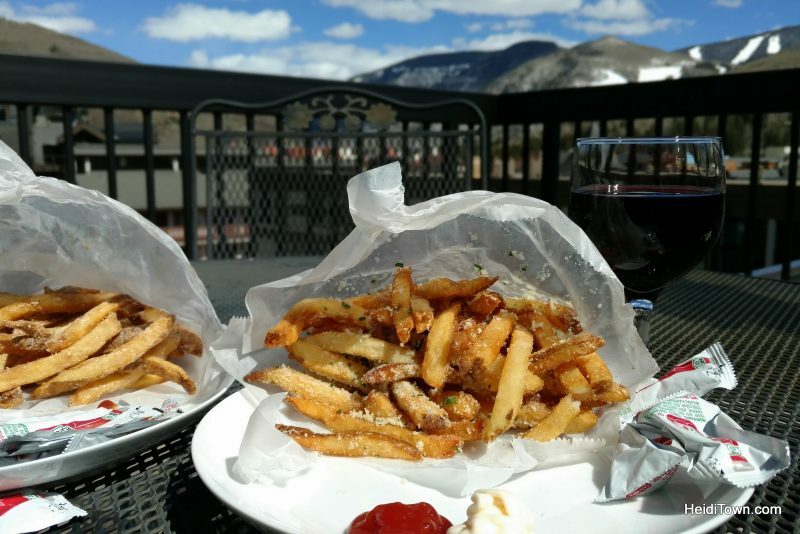 There’s nothing better in this world than when they are done right and the truffle fries at Expert Burger in Vail’s Lionshead neighborhood are to die for. Just thinking about them makes my mouth water. Take it from me, they make the perfect afternoon snack on your condo patio paired with a nice wine or a local craft beer. 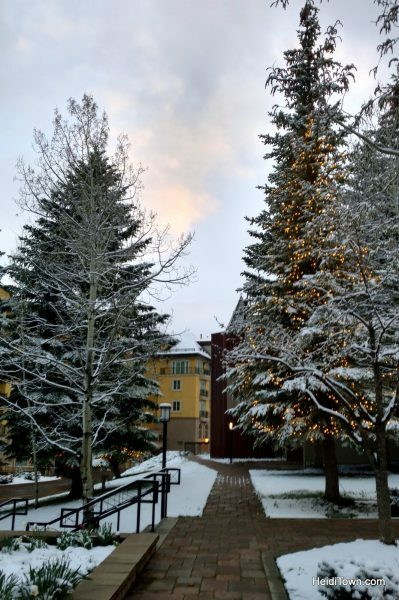 Let’s face it, Vail Village is just plain adorable. 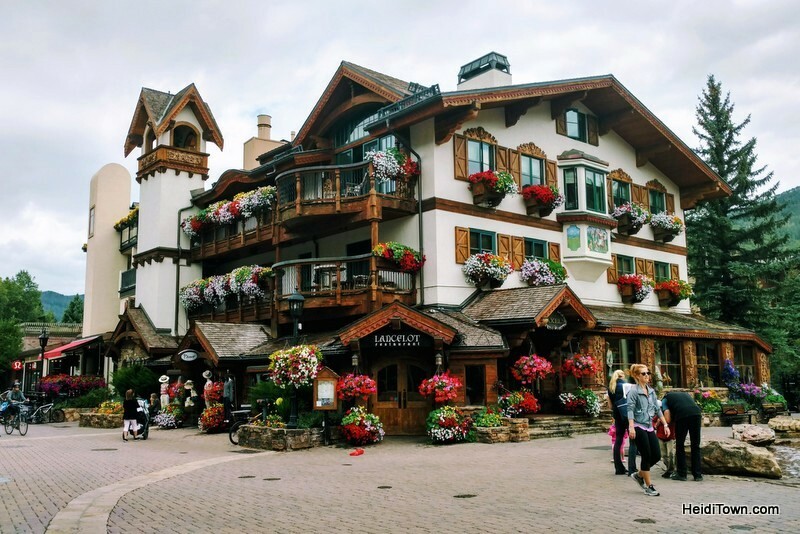 I recently took my mom to Vail Village and her squeals of delight over the European Alps-like architecture reminded me of my first visit to the town. In the summer, Vail explodes with flowers of every kind and color. In the winter, snow embraces the village in a wintry hug that’s as photogenic as any alpine village in Europe, and that’s not a coincidence. Many of the town’s buildings were purposely modeled after European architecture such as the iconic Hotel Gasthof Gramshammer, home of Pepi’s Bar & Restaurant and the Sonnenalp, to name just a few. For years I’ve been visiting Vail Brewing Company’s tent at beer festivals because I can always count on them to be pouring something delicious, but I hadn’t actually been to their brewery until earlier this year. 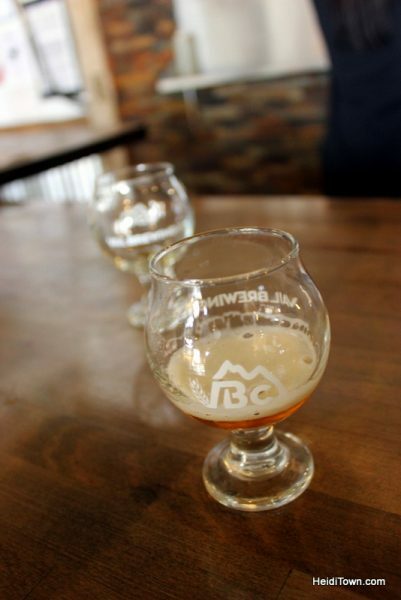 Technically, their brewery is a stone’s throw away from Vail in Avon, but Vail Brewing Company does have a tasting room in Vail Village. We visited the brewery in Avon on a snowy afternoon and were delighted to discover that we like the brewery space as much as the beer. It’s a local waterhole that features the Rocky Mountain Tacos food truck, live music and more. Despite the rash of shopping posts recently on HeidiTown, I’m not a big shopper or big spender. However, I love interesting jewelry and while I don’t wear much, the jewelry I do wear usually has a story. On the Vail shopping outing with my mom, I bought a ring that’s become part of my daily worn accessories. The cool story behind the ring is that Mary Jane’s Vail also has a store in Hawaii and one of their featured jewelry artists there makes a gorgeous silver and gold wave ring for that store. The owners of Mary Jane’s decided that the wave pattern could be tweaked into a great mountain motif and now the artist makes wave rings for Hawaii and mountain rings for Vail. If you aren’t familiar with the layout of the town, Vail Village is the old part that photographs well because it looks like a European ski hamlet. West Vail is home to the Lionshead area, and while it’s quieter than Vail Village it has a neighborhood feel that I really enjoy. We frequently stay in Lionshead. Springtime in Lionshead at Vail Spa Condominiums. A free bus connects all of Vail and the buses run frequently, so there’s never a problem getting around without a car. Read more about Vail on HeidiTown.com, Things to do in Vail, Colorado When You’re Not Skiing. 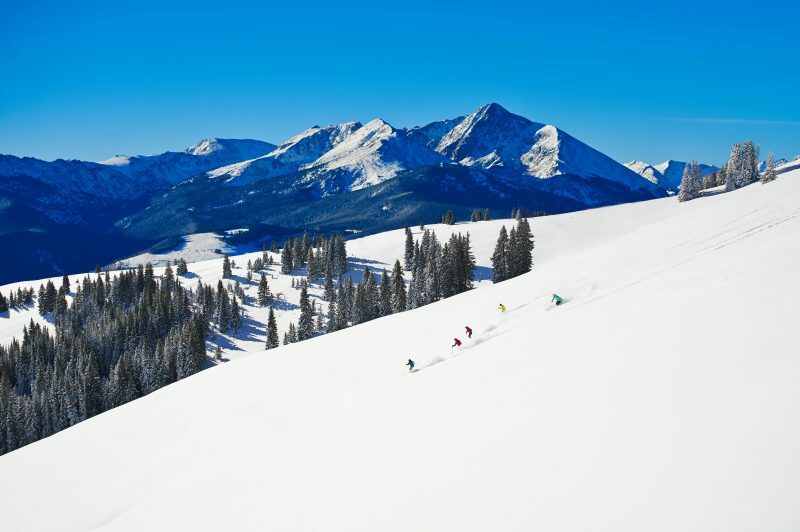 So there you have it, there are so many reasons to love Vail. 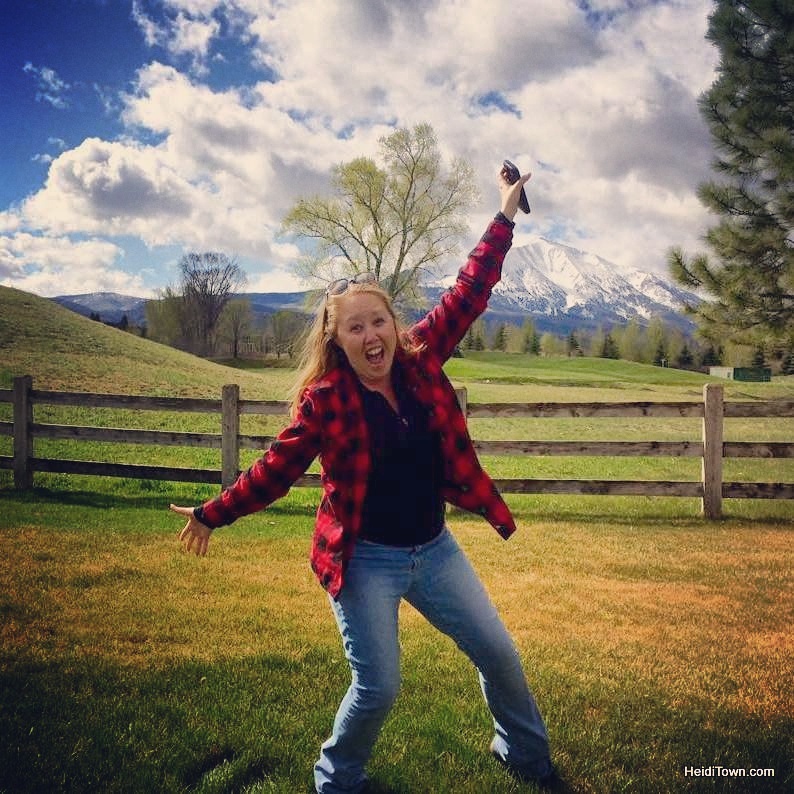 Feel free to leave a comment telling me why you love Vail!